"A good friend showed me around Tuart Lakes NLV 6 months ago and my concept of retirement changed"
A good friend showed me around Tuart Lakes NLV 6 months ago and my concept of retirement changed from having to build an asset based retirement to one of living the rest of our years in a positive, happy and healthy environment with people of similar ilk. Our house was put on the market and sold within 3 months and … Bingo! Here we are with no regrets! "I think some of our friends thought we were mad, leaving an obviously perfect Hills lifestyle"
"I’m a changed person since coming here. I’m 70 now and I feel 25. Why be a slave to the bank?" I’m a changed person since coming here. I’m 70 now and I feel 25. Why be a slave to the bank? My advice is to come here and have a look. There’s less stress, I’m secure and the camaraderie and atmosphere is contagious. "It’s such a friendly place. 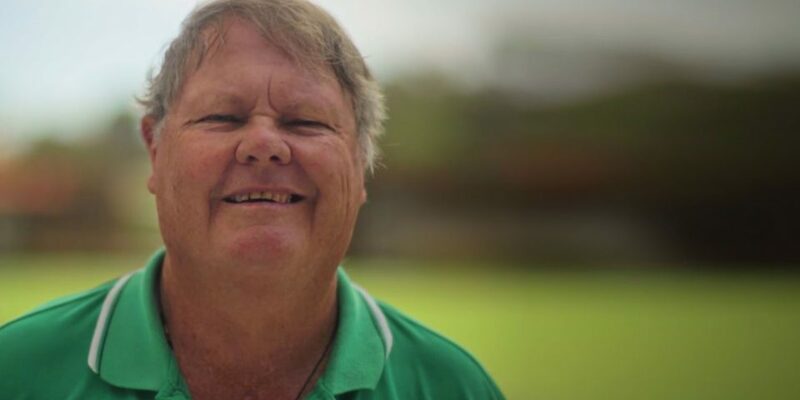 Everyone waves when you walk past and there’s always someone to talk to at the Clubrooms." Lock and leave” lifestyle communities offer boat and caravan parking, complete with a wash-down area. Your secure community is monitored with video surveillance, so you don’t have to worry, whether you’re at home or away. It’s such a friendly place. Everyone waves when you walk past and there’s always someone to talk to at the Clubrooms. I still believe it’s one of the best places to move into. "I see people enter the village gates for the very first time, and each day I watch them grow progressively younger"
"The whole reason for my move was about being happy...not tied down to a mortgage or a job I didn’t like. It was about freedom and starting again for me." "I’m always doing something...off to the casino, a bike ride, the movies, a drink with friends. Life couldn’t be better." My son always asks…‘What are you doing now Mum?’ I’m always doing something…off to the casino, a bike ride, the movies, a drink with friends. Life couldn’t be better. "Financially, we are miles in front...Moving here was the best thing we ever did"
"We have a social life we didn’t have before. We always had great friends, but we sort of kept to ourselves most of the time. Now we are doing so much more than before." "The camaraderie, the great people and the security enabled us to open-up our social network"
"So one day at the tender age of 70, I decided I would give it a go"
The Avon Descent is conducted each year during the first weekend in August and it is quite a challenge. As a member of the over 45 Kayak Association, I had been paddling a kayak up and down the Swan River for a considerable number of years. The Avon Descent was always at the back of my mind, like the Marathon is to a long-distance runner I guess. So one day at the tender age of 70, I decided I would give it a go. This decision caused considerable consternation and horror amidst the four generations of my family but they gradually accepted the idea and formed themselves into a very effective support team. The start line at Northam is a very colourful scene with hundreds of kayaks and paddlers circling around in the still water, waiting to take off and disappear down the weir. The first day had many exciting moments but my enthusiasm was being maintained by my descendants who were leap­frogging my progress and shouting encouragement from the riverbank. "I espied a 1958 Royal Enfield with a full dolphin fairing for sale"
Many years ago when I was a young spotty Herbert trying to eke out a living as an apprentice Butcher, I espied a 1958 Royal Enfield with a full dolphin fairing for sale. The sale price was £109. So I scrimped and saved until I raised the requisite £29 deposit. I attended the Bike shop with my Dad, as he was going security on my purchase. And as this was in the days of the Mods and Rockers. and I was wearing the Leather Legs, Leather Jacket and a Black Helmet with “THOR” in gold Gothic script on the front. 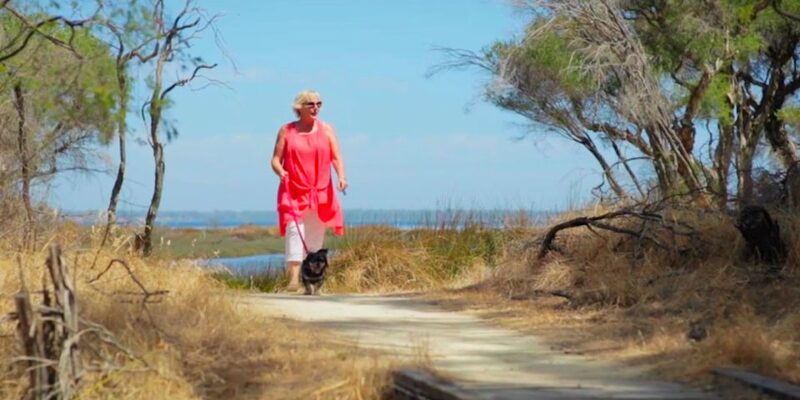 "In July 2012 I moved into Pineview Village to be closer to my son and his family"
I had originally put aside a block at NLV Lake Joondalup back in 2000 but decided I was too young at that stage for the “village” life. In July 2012 I moved into Pineview Village to be closer to my son and his family as I was then living in Mundaring. Pineview was all I had hoped it would be – friendly people, nice homes and lots of things to do. Some 12 months after moving in I introduced myself to a new Lifestyler by the name of Ross. He was a very nice gentleman who was living alone and still working. We soon discovered that we had a whole lot of things in common and developed a friendship/relationship. "A Love story with a Twist - "it all Started with a Tooth Pick!" Rick is an avid ‘West Coast Eagles’ supporter and nothing comes between him and his beloved sport. That was until he met me. I am no couch potato and prefer to be doing other more interesting things, like pottering in the garden. So how did it come to be that we are a happily married couple of 5 ½ years? We were both at the Windsor Hotel in South Perth one night. I was with a girlfriend and Rick was there watching an Eagles away game on the TV. I noticed him because he was somewhat loud, which I now know is just part of what AFL supporters do. When the game finished, Rick came up to the bar and started chatting to myself and my girlfriend, I had to excuse myself as I just ate some pizza and I needed to go to the bathroom as I had something stuck in my tooth! Rick being the gentleman he is asked if I would like to borrow a tooth pick – what a blessing that was!! He not only gave it to me but walked me to the ladies!! We chattered for the rest of the evening and swapped numbers. Rick eventually walked us to my girlfriend’s car. The next day I jokingly text him that they were giving away free Dockers Tickets and would he like to go….. well his response isn’t something I would write down, but we did set up a date. "Reminiscing about the 1961 Swan Districts Football Club Premiership"
Swan Districts Football Club had never won a Premiership in the WAFL League Competition. We languished at the bottom end, you could have called us cellar dwellers. However in 1957 the WAFL introduced an extra competitive team into the structure. So now all clubs had a League, Reserves and Thirds team, the last being in the 18-20 years bracket. This enabled the clubs to have access to nurture and improve the football ability of up-and-coming players. Swans were the Thirds competition inaugural Premiers in 1957 and again in 1958 which gave the club a little hope for the future. In 1960, Haydn Bunton, a South Australian, was elected League Coach. From the outset it was obvious that there would be a massive shake up. The placid Black Swan club emblem was ditched, and replaced by the fierce, black fighting one. Training began in the hot summer months at weekends as well as mid-week. Weekends were up and down sand hills at Scarborough through to Trigg and mid-week around the Swan River, swimming across it, and of course, on the oval. Blood, sweat and plenty of tears! "It takes a while to familiarise oneself with local customs and I had my fair share of making errors"
In the first six months following my arrival in Australia from the UK (at a tender age of 19), I had learnt a few of the Australian colloquialisms such as arvo, postie, pressie and bring a plate. It takes a while to familiarise oneself with local customs and I had my fair share of making errors. One day when out with my husband Syd, I saw a poster with comments about a Polly Farmer. I naively asked him what type of farmer was a “Polly” one. Syd responded by laughing his head off before telling me he was a footballer. There was more to come. Returning from our honeymoon, Syd wanted to visit his Uncle Harold who was a wheat and sheep farmer in Arrino, just out of Three Springs. He was a cheerful, down-to-earth man and I immediately liked him. Upon entering the house it was obvious that house cleaning was not a priority with Harold. The kitchen was full of tins of fat that he had accumulated over the years from cooking roasts! 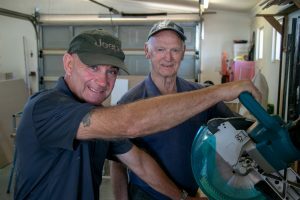 "I have been the coordinator of the Grubby Gardeners at Bridgewater Lifestyle Village for the past five years"
I have been the coordinator of the Grubby Gardeners at Bridgewater Lifestyle Village for the past five years. I love to garden and in particular, growing vegetables. To me this provides food for the soul, relaxation and the opportunity to be involved with like-minded Lifestylers out in the open air and lovely surroundings with lots of laughter and friendship. a lifetime interest in gardening and food it was inevitable that I became involved in what was then just a small group that had been allocated a plot on the back fence of the village in which to grow vegetables. Unfortunately over the next couple of years, and as the village began to grow, we were forced to shift a couple of times before ultimately ending up pretty much back where we began. This all took its toll on the output from the garden but in early 2010 we were settled at last and are now able to pay our way so to speak. "So began a statewide search for the perfect place to land"
Early in the morning on the 26th May, 1946 the lightning & thunder shook the cottage in Dartmouth, Devon, England, the wolves howled & I was born. Mum saw that as some sort of omen which turned out to be true. I was destined to be different. My father even spelled my name incorrectly adding an extra ‘i’ to Sandra. The result was that I can never buy a mug or pen with my name already on. Having a love/hate relationship with my elder brother resulted in many near death experiences. Once he force fed me some sort of glitter then sprinkled it all over the outside. Poor mum had to present this glittering toddler to the hospital. The first of many visits. Moving to London didn’t change my thirst for adventure & I nearly drowned in the Regents Park canal. I tried to ‘bunk’ into the London Zoo and was caught on a branch & left hanging by my knickers. My aforementioned brother decamped the scene. I had 2 other brothers & a sister who also managed to bring chaos into my life. Much to everyone’s surprise, not least my teacher I passed the 11+ and progressed to High school. I must have developed my social conscience here because I spent more time standing outside the headmaster’s office than actually learning anything. It was usually for standing up against bullying by classmates or teachers. However some kindred spirits remain friends to this very day. "My goal is to make it to the World Athletics Championship in Toronto in 2020 when I am 86 years old"
I grew up during War Times in East London. It’s hard for kids nowadays to comprehend but in those days because of the World War we had very little food, we had few toys, we had no bikes, but we had a ball which we kicked around in the street. This was my first introduction to sport. So I guess I was playing Soccer almost from when I was old enough to run around. My Sporting Life really started when I was 13 and playing for Oldfield United FC. As much as I loved Soccer I was a little overweight as a kid and wasn’t the speediest on the pitch. So it was decided that I would be good in Goal. I played well enough to make the 1st team for Oldfield, during which time a scout from my local Club, Millwall FC, watched me and saw enough to invite me to trial with Millwall. I made the Reserves Team and debuted against the mighty Arsenal in a midweek London competition. During the game it was 0-0 up until injury time when a late goal was scored against us by un unmarked opponent. Being the unpaid Junior I copped the full blame by all my older teammates and subsequently I got a barrelling from the Manager. Upon hearing this after the game, my Mum stormed up to this Manager and collared him giving him both barrels right between the eyes. On the way home she informed me I would never play for Millwall again. Thanks Mum. "I have always loved to dance"
I have always loved to dance. It still makes me smile to remember when I was about 18, I used to be a Go-go Dancer with Milto and the Beat Girls. We travelled to other countries often (mainly Belgium and Germany) and we were treated like celebrities wherever we danced. 6 years ago, I have also taken up Tai Chi, Tap Dancing and Lawn Bowls. You wouldn’t believe what a workout Tap Dancing is, I just love it! Living in the Village has also allowed me to indulge in my other passion with is art, painting and sketching (which I adore doing). But my story starts last year in Barcelona, when I was sitting having a drink with my sister (who I had treated to a holiday) thinking about what I could do for the Annual Bridgewater Variety Show. And I’m not sure if it was the Spanish air or the Rioja but I decided I was going to do a Pole Dancing Act as a comedy performance at the Show. "Robyn’s life is one big party"
It’s an undeniable fact that a large number of men and women enter their middle years alone. After the division of assets, not many are left as financially secure as they would like to be. Robyn’s decision to downsize into a new home at NLV gave her the answer she was looking for. A happy new home at a price she could afford, and a chance to be part of a real community of caring friends. You too can live in a modern, spacious new home with every luxury you dreamed about at your fingertips… at a price you can afford. "Ray and May have more time on their hands"
Ray and May were looking forward to a leisurely pace of life once they stopped working, but it didn’t quite work out that way. Between spending time with their new grandkids and looking after the maintenance of their big family home, they were busier than ever. Their decision to downsize and upgrade into a brand new home at NLV solved the problem. 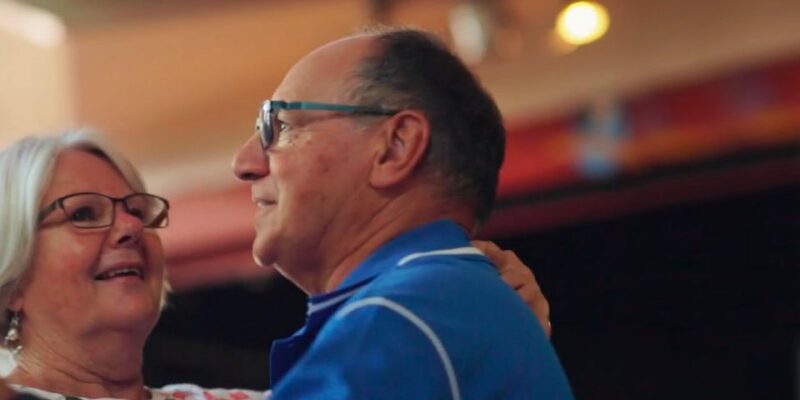 Their lifestyle home was so much easier to look after, they now have more aquality time to spend with their grandchildren, as well as time for bowls, tennis, swimming, golf or socialising with their new friends… without having to drive anywhere! 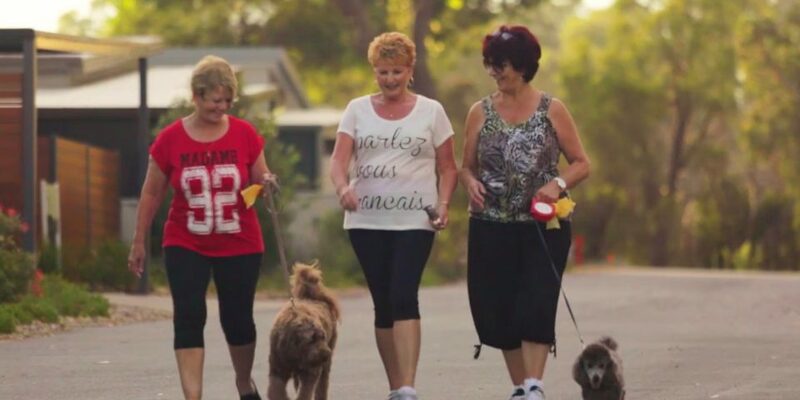 "Mal and Jo have never been in better shape"
After Mal and Jo decided to downsize into a new home at NLV, their lives were in better shape in more ways than one. Not only did they have more time for tennis, they had more money in the bank to start really living. You too can live in a modern, spacious new home with every luxury you dreamed about at your fingertips… at a price you can afford. "Yvonne is in safe hands"
Safety is a priority for most people and personal and home security while home or away is a daunting thought for all of us. The decision to purchase a new home at NLV gave Yvonne the peace of mind she was looking for. As a secure gated community, it is very hard for intruders to enter unnoticed and being surrounded by watchful friends makes it even more comforting. You too can relax in a secure new home among caring friends with every luxury you dreamed about at your fingertips… at a price you can afford. "Trevor and Lynne have lifted their game"
Trevor and Lynne’s decision to downsize into a brand new home has had a big impact on their lifestyle. They now have a lot less outgoings and less maintenance… which means more money in their pockets! On top of that, they now have more time to do the things they love, like playing golf. 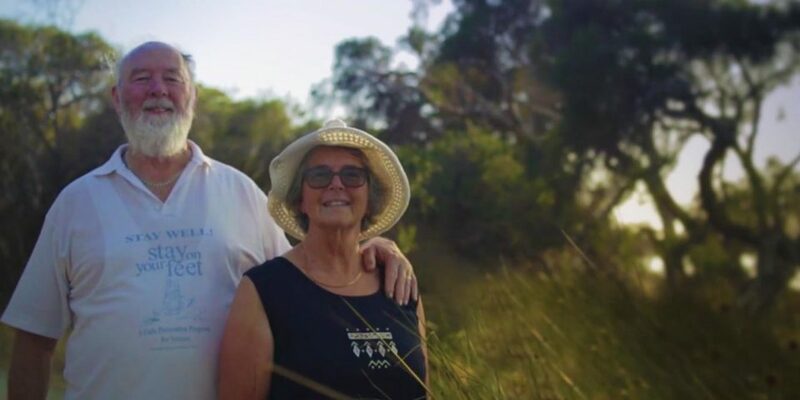 "Chris and Dianne have left home again"
Chris and Diane’s decision to downsize with NLV is opening the door to live a life of following the sun. The superb security at NLV gives them the freedom to ‘lock up and leave’ whenever they wish. They can head up north for a bit of sun in winter, or over to Tasmania to escape the heat of summer, or go anywhere … at any time they want. When home, their caravan is also securely accommodated on-site. You too can live the life you longed for all in a modern, spacious new home among friends with every luxury you dreamed about at your fingertips… at a price you can afford. "It was love at first sight...You’d have to drag us away screaming!" When new Oyster Harbour Lifestyle Village Lifestylers, Jacquie and Keith Moreton took a leisurely drive through Albany while on holiday, they cruised down Elizabeth Street, liked the sound of Oyster Harbour, followed the directions and fell in love the minute they entered the front gates. What drew you to Albany? Keith is from Albany originally and he always wanted to come back after living in the UK for most of his life. I am from Melbourne so there was no convincing me of moving here. We were living in a large, late 1970s five bedroom home on an 800sqm block near Rockingham at the time, and the up-keep was just getting too much for us. You don’t want to be climbing ladders and cleaning gutters in your 60s. Did the Perth summers influence your decision? Absolutely. We just couldn’t handle it anymore, even though we had an air-conditioner. It doesn’t rain anywhere near as much as the weather reports say down here. It’s still warm and sunny and the skies are beautiful and clear. You really notice the lack of pollution because we are near the harbour and the sea which gives a lovely ambience. And now, how is the new lifestyle working for you? We love it. You’d have to drag me away screaming! When we retired Keith hadn’t been well. We started to miss contact with other people and began to feel a bit socially isolated. I tell you, we have been made so welcome here. We feel like we belong. Being able to bring our aging dog was also a big deciding factor for us. Leaving him behind would have been a huge wretch. Keith says it’s like a movie roll every time we take the dog for a walk. That’s the lovely part about Oyster Harbour. We like the fact that we are the pioneers down here. We can go through the teething stages, add our voice and watch it grow like a teenager. If people want to be a part of that they should come down! We like how the weekly rent covers a lot of things that we’d be putting money aside for every fortnight previously. Everything is here so we don’t need to go anywhere locally or pay membership fees. Jacquie and Keith kindly provided this testimonial in 2014. If you’d like to view this wonderful Village, call us on 08 9844 0000 or discover more about Oyster Harbour Lifestyle Village here.